A little under a three hours’ drive from Auckland takes you to Rotorua – the geothermal wonder in North Island of New Zealand. On our recent visit, we were surprised by the options this small town offered and allowed us to experience New Zealand like no other place. If you are heading to NZ anytime, we suggest you definitely keep two days for Rotorua and you will come back knowing more about the country, its history and their love for adventure than any other place. A short trip to Rotorua is ideal to enjoy and experience the Maori history of the country, see the geothermal activity, have a Hangi meal and enjoy a bath in natural hot pool at in and around Te Puia, take part in adventure activities such as luge, Agrojet, Bungy, Shweeb and Zorbing at Velocity Valley, feel the thrill of jetboating at Lake Rotorua and feast at Eat Street. There are also options of visiting the sheep and kiwi farms. 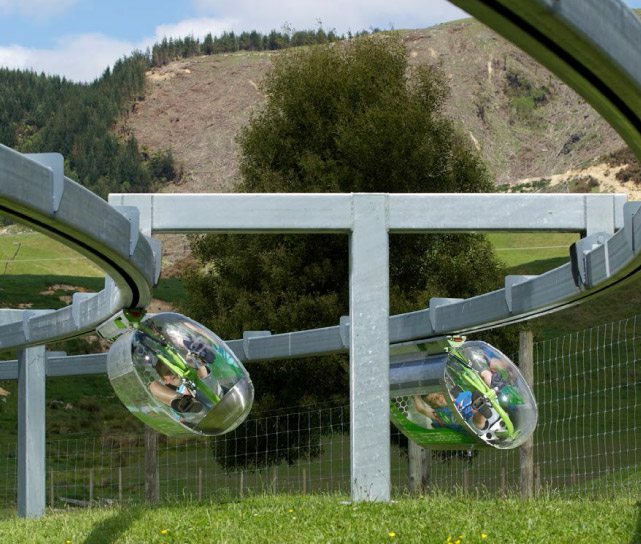 We had originally booked Waitomo Glowworm Caves and were discussing ways to reach there when our room cleaning guys suggested we head to Rotorua too to and can enjoy glowworm experience on our way back to Auckland. With nothing to do in Auckland for next three days we decided to make a quick plan for Rotorua. Booking.com threw up decent stay options and we immediately grabbed the one that best suited our budget. Based on discussion with our room cleaners we booked Te Puia, Kawarau Jet boat and Velocity Valley adventure activities. Since we were to be away for next three days and hop from one place to another, we decided to rent a car and drive down. Go rentals was to be our choice for car rental not because they are the best, but because being a tourist in the city we went by the ads that we saw and theirs was the first name we could recall. It turned out to be good choice as the entire process of choosing a car and booking it at their Beach Road office in Auckland was really smooth. With a tank full Toyota Yaris with us, we were off to Rotorua. Vast empty stretches that lie ahead may tempt to push the accelerator but we would suggest you follow the speed limits and drive within them. 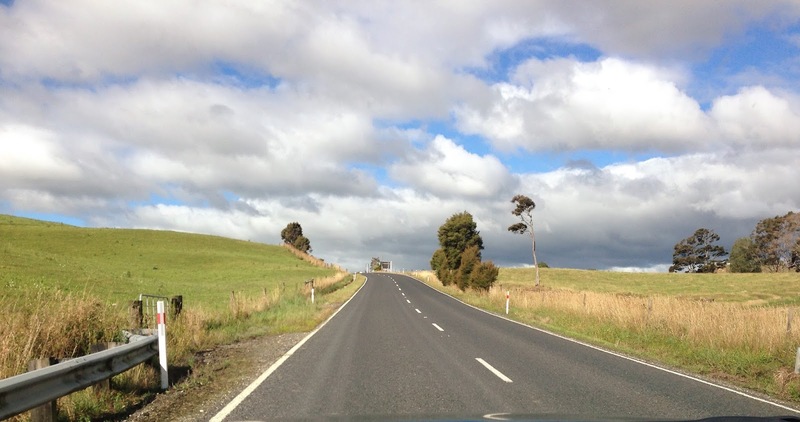 Driving in New Zealand is one of the most pleasant experiences. The sights on offer are second to none. Vast stretches of greenery and enticing colours of sky are enough to have you hooked for life. Vast empty stretches that lie ahead may tempt to push the accelerator but we would suggest you follow the speed limits and drive within them. As for us, we were in no hurry and did not want to miss even a second of soaking in the pristine sights on offer. After a three hours’ comfortable drive we reached Te Puia. 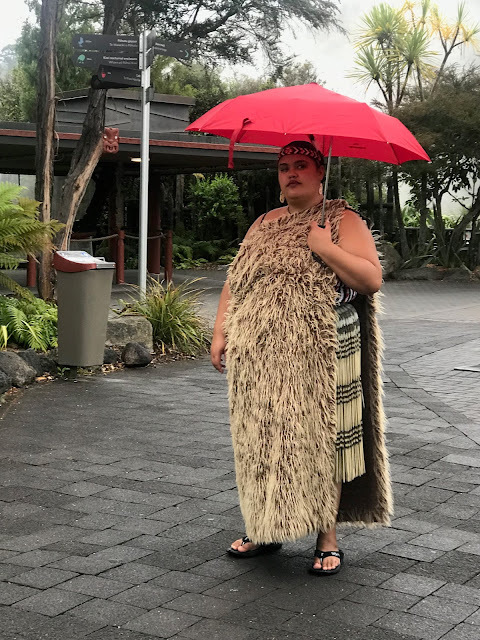 We were booked for Te Ra + Te Po tours scheduled to leave at 4.30 pm. 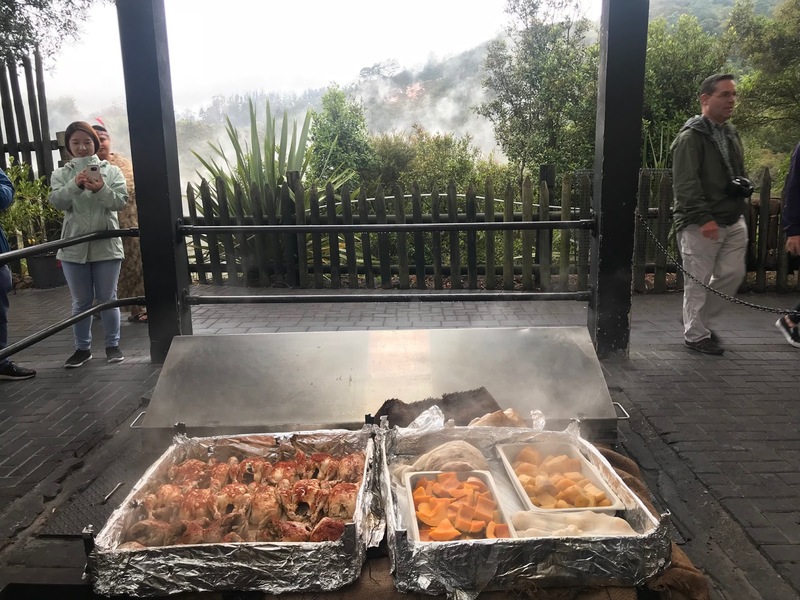 It included a visit to the village, a traditional Maori experience replete with tales about their customs and traditions, trying our hand at famous Haka dance, feasting on Hangi meal followed by a visit to the Pohutu Geyser. 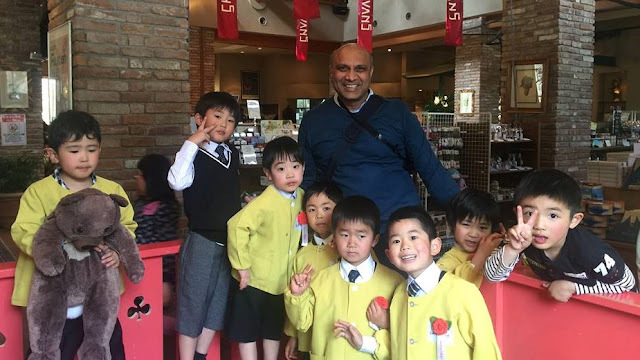 It may not be the adrenaline pumping experience one associates with New Zealand but trust us, these four hours of experiential story telling where we not only listened but also participated were one of the highlights of vacation. 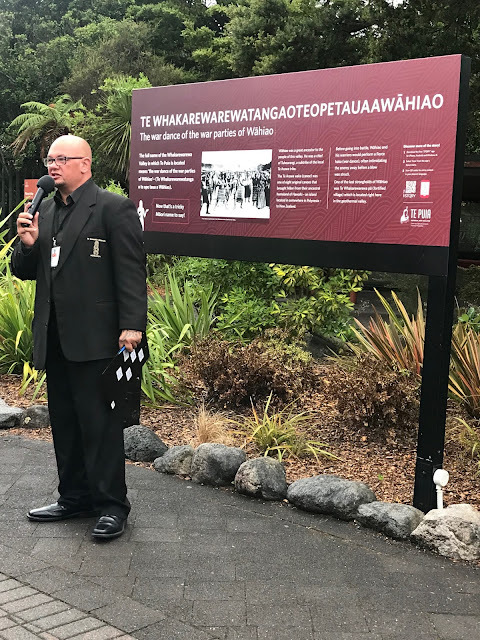 A Maori experience by local families that proudly showcase their culture is a must attend activity in Te Puia. A specially prepared Hangi meal is the highlight of the evening. Meats and veggies cooked under earth are laid out as tasty dishes in a buffet. Shweeb racer has to be one unique and exclusive experience. You get inside a pedal powered racing pod and pedal your way in a race against your partner! Swoop — You are strapped to a giant swing that hoists you over 140 feet in a second! 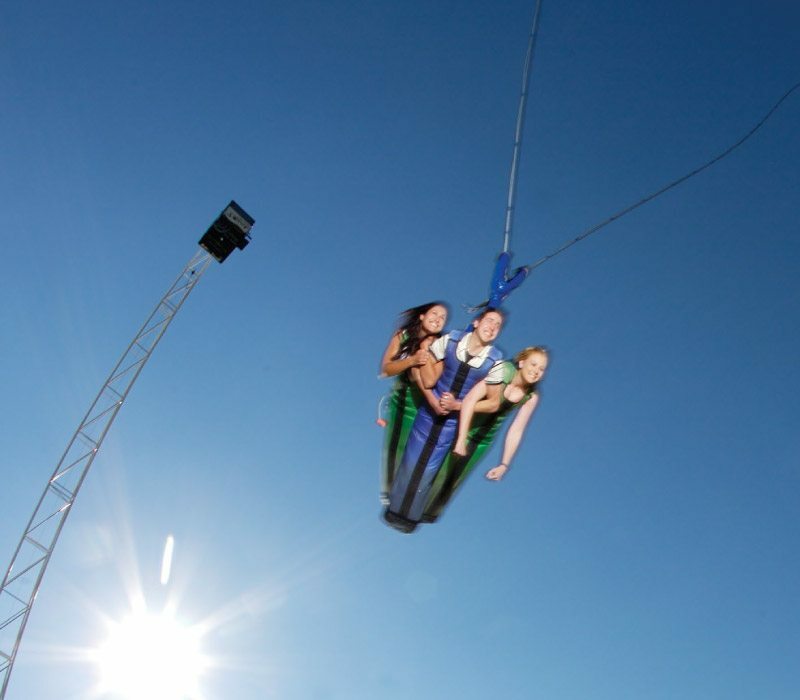 The adrenaline rush as your swing in the air is to be felt to be believed. 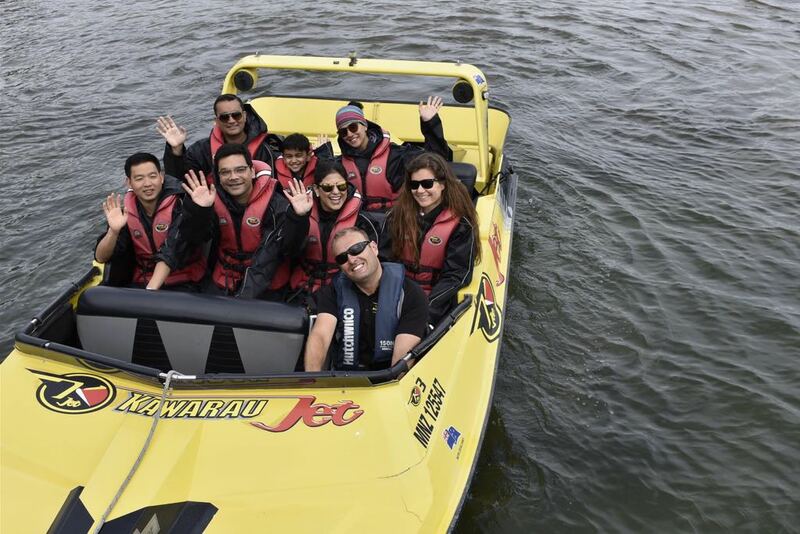 Agrojet - How about turns and bends of a jet boat that touches the speed of 100 km/h and passes through amazing turns and bends! Want to experience freefall of a skydive yet do not want to jump from a plane like me! 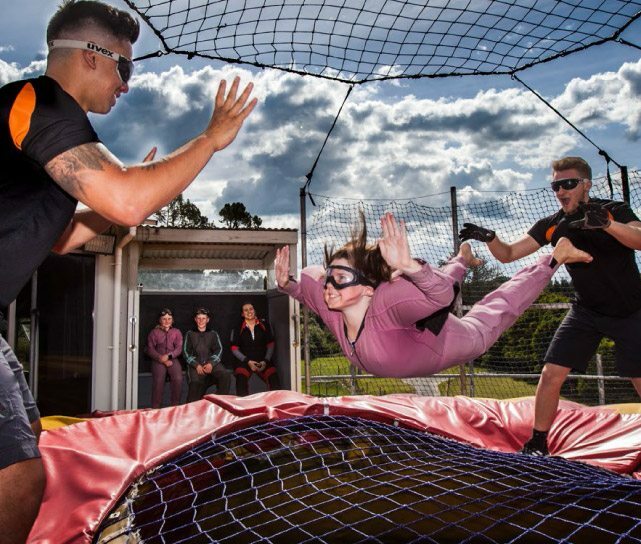 Freefall is just the activity for you as you fly, on the ground, with winds over 200 km/h gushing under you. Take a leap of faith as your jump from a 43 meters high platform and feel the adrenaline rush like no other. 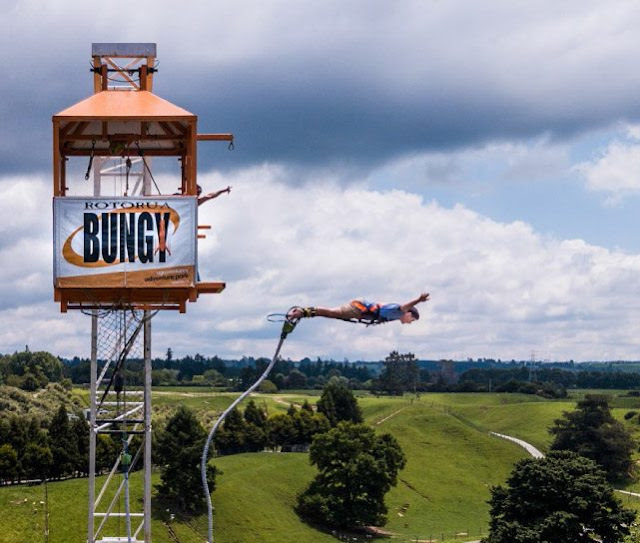 Rotorua Bungy completes your action packed visit to Velocity Valley. Skyline Rotorua is not hard to find. On our drive towards our hotel after Te Puia experience, we could see the luge track, gondolas and ziplines. This was to be our address for the better half of second day. 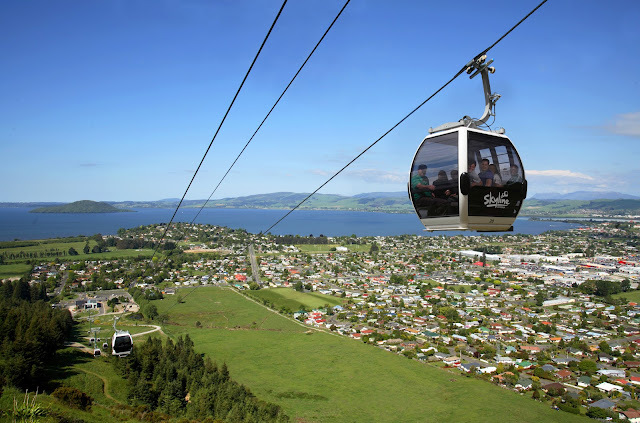 You take a gondola to go to the top of a mountain while soaking in the views of Rotorua lake and geothermal activity. Once at the top, you can either enjoy zipline where you breeze down or opt for luge that is again a unique experience where you drive down in a cart with brakes to control your slide speed downhill. 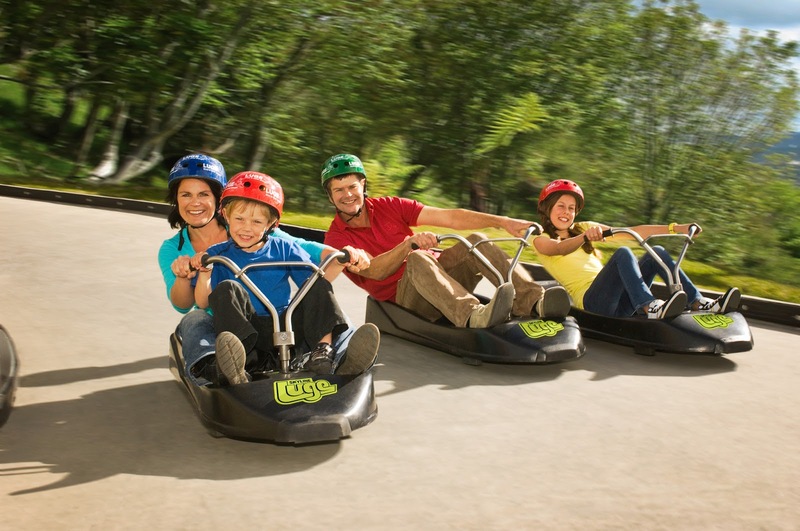 Luge rides are one of the biggest attractions here. This activity is extremely popular with families. This was to be our third and last day in Rotorua and it was to start with a jet boat tour. 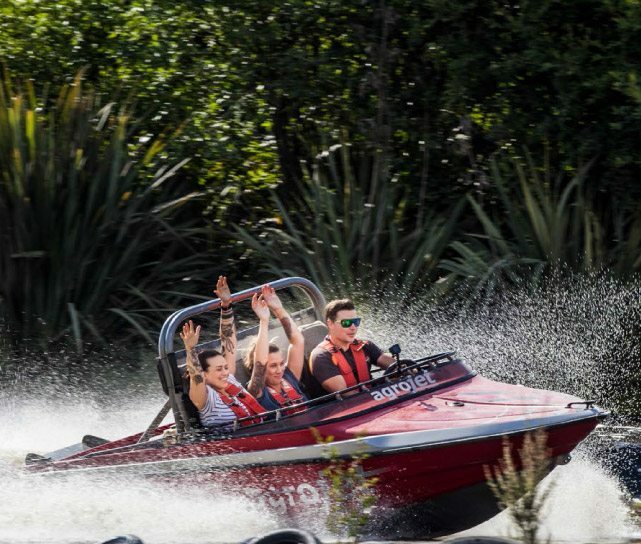 We opted for K-Jet as that only allowed us to experience the thrill of jet boating in Lake Rotorua, but also took us for a bird watching experience inside Mokoia Island in the middle of the lake. The ride in a jet boat with typical twists and bends was a typical NZ experience but the enlightening part of this exercise was the Mokoia island bird watching tour, listening to Maori tales while walking around the island and also seeing the hot pools. The ride back to Rotorua in a jet boat was the usual rollercoaster affair. 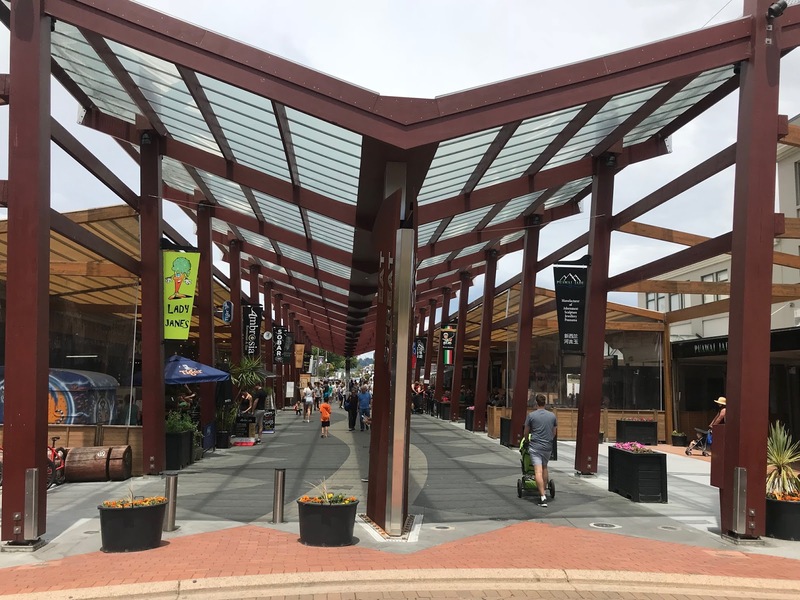 Eat Street, the happening food area of Rotorua. Just as we were to leave for Auckland, we decided to explore the Eat Street, the happening food area of Rotorua. Lined with restaurants, cafes and bars, it offered ample options to choose from. Rather than a full meal at one outlet, we decided to hop from one outlet to another and have a taste of all of them. A nice gelato shop allowed us to round off our trip and the meal on perfect note.